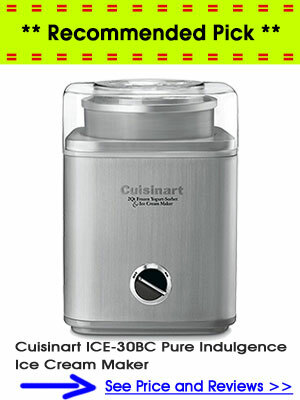 Cuisinart ICE-30BC Ice Cream Maker Review – Based on all reviews and technical specifications Cuisinart ICE-30BC Pure Indulgence Ice Cream Maker is considered by many the best value ice cream machine on the market currently. The rankings that we created are based on around 25 different factors – including customer reviews, technical features, warranty, etc. The ranking system places this ice cream maker at the top place with a rating of 9.4 out of 10. The main reason for that is that it is the best value for money and provides all the features that the average family or individual will ever need. We do not see the point of you spending 600 dollars on a machine if you will not use it often and actually do need the extra features that such machines provide. Brand known for its quality – when buying a Cuisinart machine you know that you are getting something that will last for years. Unlike some of the ice cream makers produced by lesser known companies you are unlike to experience any quality issues which is confirmed by the positives reviews online. Customer Reviews – this is the machine with one of the best customer reputations online as you can see from the rankings that I have created. 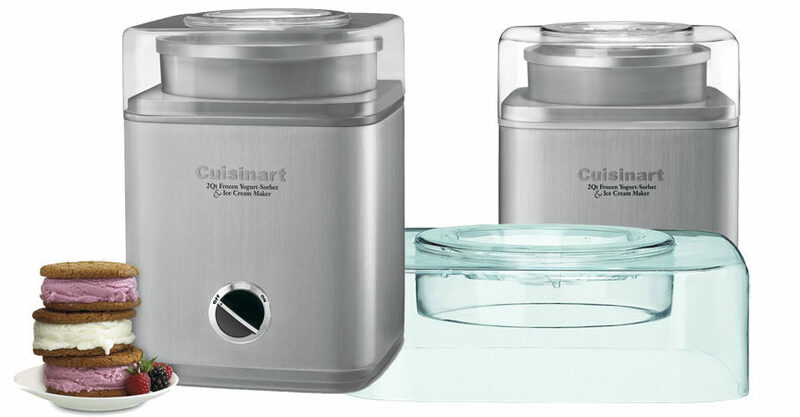 There are literately hundreds of reviews available on Amazon and other websites which should be a good enough indication that the Cuisinart ICE-30BC does the job well. Capacity – this is one of the few ice cream makers that can produce 2 quarts of ice cream per batch. 3 year warranty – just for the extra peace of mind. Value for money – for less than 100 dollars you get a machine that will produce ice cream with outstanding mixture. Easy to use and clean – the cleaning part is especially important. The machine is not heavy which allows for easy cleaning and maintenance. Powerful – the machine comes with a really powerful motor. Comes with a good recipe book – unlike most machines out there that include a recipes book just in order to be able to say so in their sales copy. Cuisinart made sure that they actually provide value here by providing a comprehensive guide on making many frozen desserts. 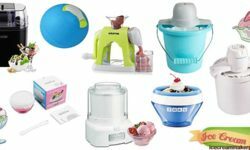 Cord storage – this ice cream maker comes with a storage for the machine’s cord which is really useful for people that would not have it plugged into an outlet at all times. Transparent lid – this allows you to see the process of the ice cream making and easily add ingredients whenever you wish. You will have to pre-freeze a bowl before you can make ice cream which means that you will need to prepare before making a batch. However, the good news is that you always buy an additional bowl that you can keep in the freezer. Cannot produce Gelato – if you would like to be able to produce Gelato you will have to look for a little bit more expensive machine. 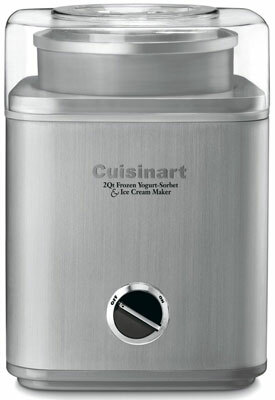 We advice you to look at the Cuisinart ICE-100 Compressor Ice Cream and Gelato Maker. 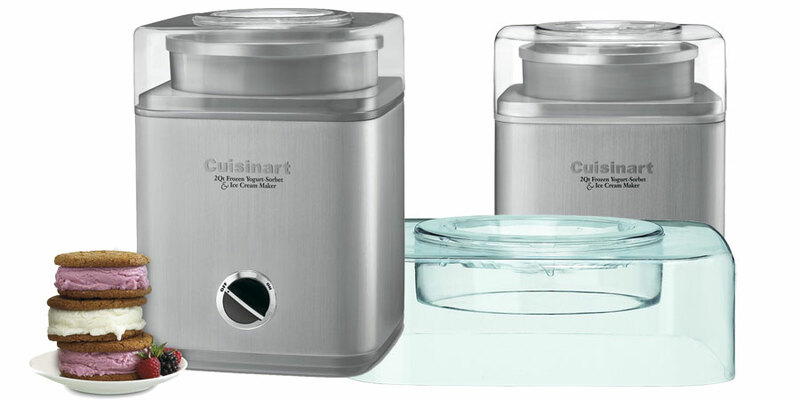 You cannot go wrong with purchasing the Cuisinart ICE-30BC. 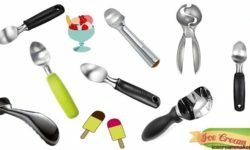 For less than 100 dollars you get a machine that matches the quality produced from ice cream makers in the range of 200-300 dollars. This is the machine that we would recommend to anyone that is looking for an ice cream makers that does not cost a few hundred dollars. There is really nothing more that needs to be said. This is the best machine for the buck out there and it has been used by thousands of people without any issues. IceCreamMakerGURU.com is a participant in the Amazon Services LLC Associates Program, an affiliate advertising program designed to provide a means for sites to earn advertising fees by advertising and linking to Amazon.com. Additionally, this site participates in various other affiliate programs, and i sometimes get a commission through purchases made through my links. I do not specifically market to children under 13. 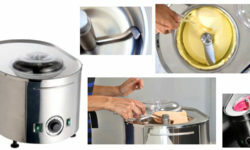 Best Ice Cream Maker 2019 is here! Looking for the Best Ice Cream Maker Machine? Read Our Reviews to Find out Which Ice Cream Makers are Top Rated of 2019-2020!